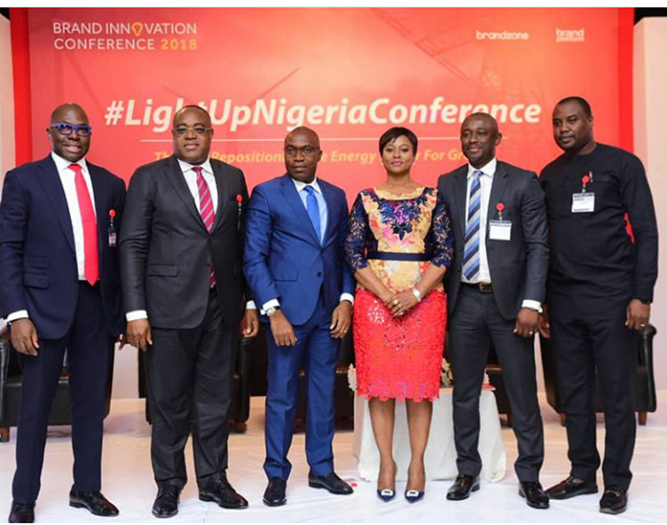 Eterna Plc in collaboration with key partners in the energy industry, sponsored the 5th edition of the Light Up Nigeria Conference held on Tuesday, 15th May, 2018 at the Oriental Hotel, Victoria Island, Lagos. The Brand Innovation Conference powered by Brandzone Consulting LLC, themed “Repositioning the Energy Sector for Growth” brought together corporations, policy makers, professionals, investors, academics and students across the entire energy industry value chain, ranging from Oil Exploration and Production, Power, Gas, Oil & Gas distribution and Renewable Energy. The Conference is an annual multi-sector thought leadership series, and it featured Keynote speakers from major players in the energy industry including Mr. Nnamdi Obiagwu, General Manager Lubes, Eterna Plc and is focused on achieving collective intelligence hinged on collection and documentation of fresh knowledge and insights.